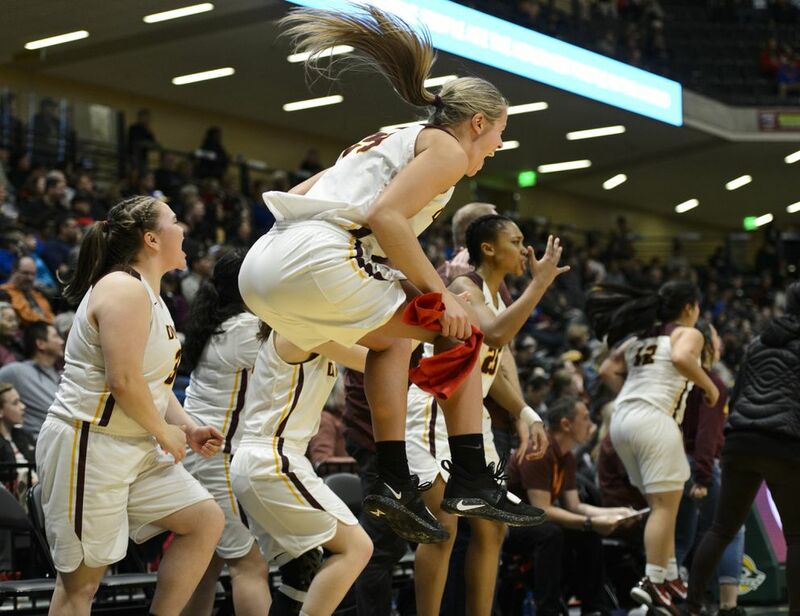 Alissa Pili led the Dimond Lynx to the promised land once again, helping her team edge the Bartlett Golden Bears 62-57 and capture back-to-back Class 4A girls basketball state championships. 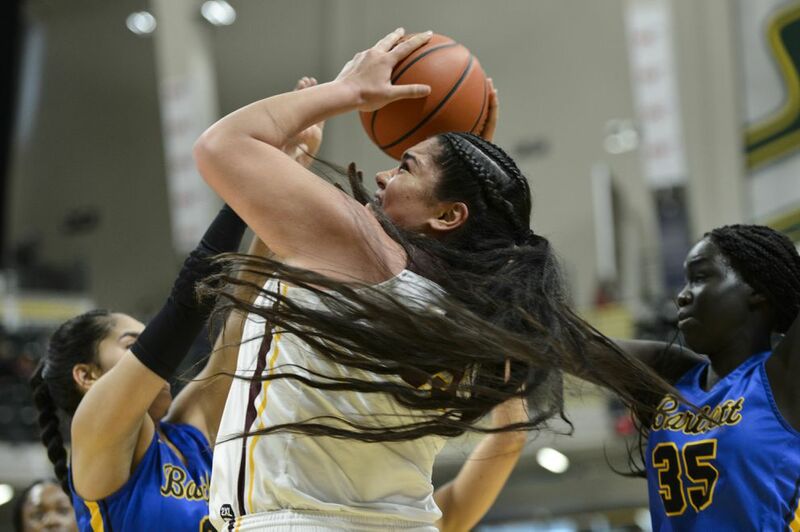 Pili, the three-time Gatorade Player of the Year and the all-time Class 4A scoring leader, exploded in her last high school game Saturday night at the Alaska Airlines Center, pouring in 40 points and grabbing 13 rebounds. However, in true March Madness fashion, the Golden Bears (23-8 overall) nearly staged a successful comeback in the game’s final minutes. 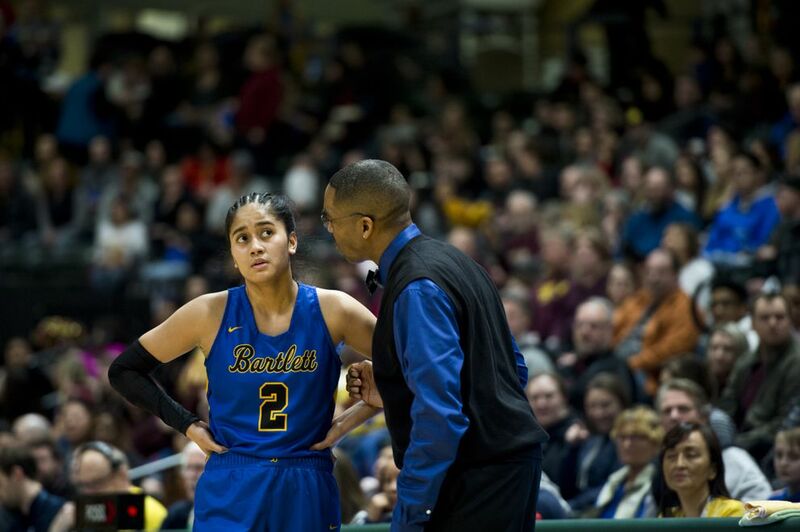 After leading by as many as 23 points, Dimond (29-5) clung to a three-point lead in the final 60 seconds. Mounting the Bartlett comeback was Amelia Uhila, a first-team all-state selection who scored 13 of her 27 points in the final four minutes. Heading into the fourth quarter, Dimond held a 51-32 lead. Bartlett opened up the final quarter with a 10-3 scoring run capped by an Uhila 3-pointer to make it 54-42. Bartlett kept chipping away to come within striking distance. 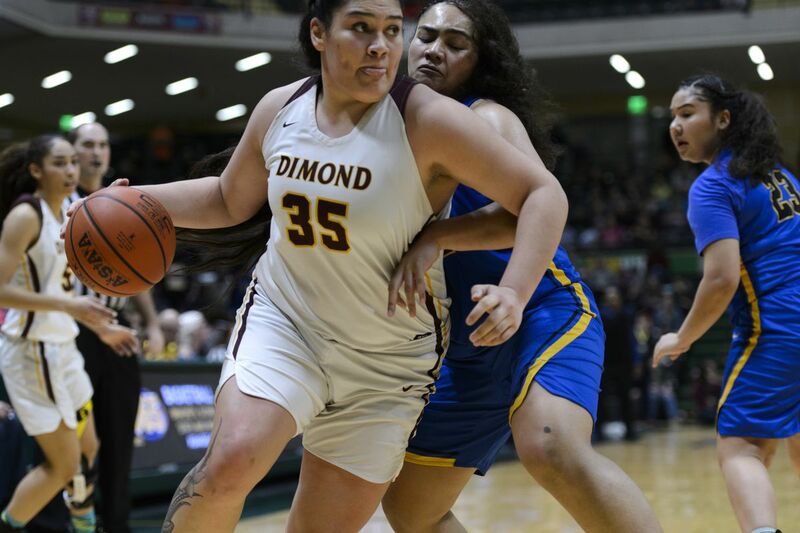 Pili, a 6-footer who is headed to USC to play Division I college basketball, scored Dimond’s last five points to help the Lynx fend off the Golden Bears for the fifth time this season. 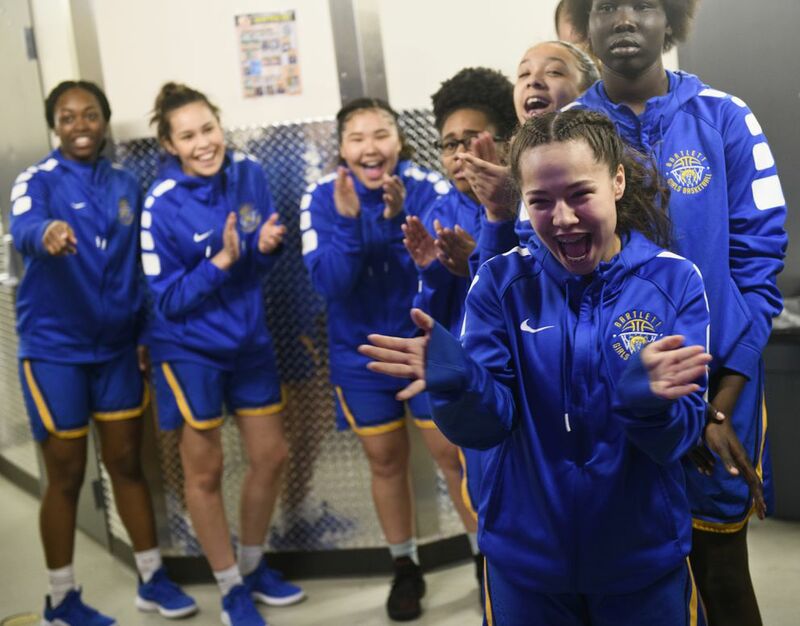 "Even when Bartlett was making their comeback, I thought the kids really held it together and played together — we have a saying: 'Play together, stay together,” Young said. Bartlett was making its first state-tournament appearance since 2011, when it finished seventh. The Golden Bears have not won a state title since going back-to-back in 1977 and 1978. Until Bartlett’s rally, the game was severely one-sided. Pili and the Lynx picked apart the young Golden Bears by controlling the offensive glass and creating extra shot opportunities. Along with 22 first-half points from Pili, the Lynx outrebounded the Golden Bears 22-11 in the first half — 13-5 on the offensive boards. Ariyanna Camacho-Villafuerte contributed 15 points for Dimond. For Bartlett, Uhila supplied four steals and two blocks to go along with her 27 points, freshman Nyakoat Ruot scored 10 points and pulled down seven boards and senior captain Sasha Saccheus added nine points, seven rebounds and three steals. Chugiak stormed back from a huge first-quarter deficit to claim third place with a 56-49 victory over Soldotna. The Mustangs trailed 17-4 after the first quarter but outscored Soldotna 52-32 the rest of the way. Soldotna’s lead was down to one point, 39-38, at the end of the third quarter, and Chugiak took control with an 18-10 fourth-quarter run. Three players scored in double figures for the Mustangs — Chasity Horn (19 points on 8-of-11 shooting), Ari Lewis (13 points, 7 rebounds) and Eva Palmer (11 points, 7 steals). Soldotna was sparked by Brittani Blossom’s 15 points and Ituau Tuisaula’s 10 points and 10 rebounds. Diondre Lawhead tossed in 14 points and Bella Hays pulled down 14 rebounds to key Wasilla’s 39-33 triumph over the West Eagles in the fourth-place game. Cheyenne Green chipped in 10 points and five rebounds for the Warriors. Leading the way for West was Nyeniai John, who supplied 10 points and seven rebounds.